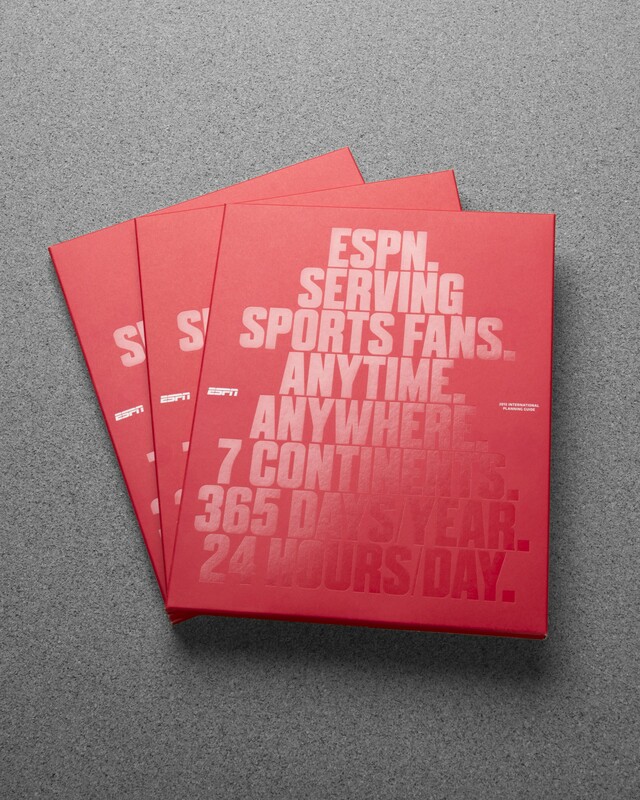 Since 2011, WSDIA has worked with ESPN International Marketing Solutions to communicate their accomplishments and capabilities across the globe, with an adaptable design system spanning both print and web. 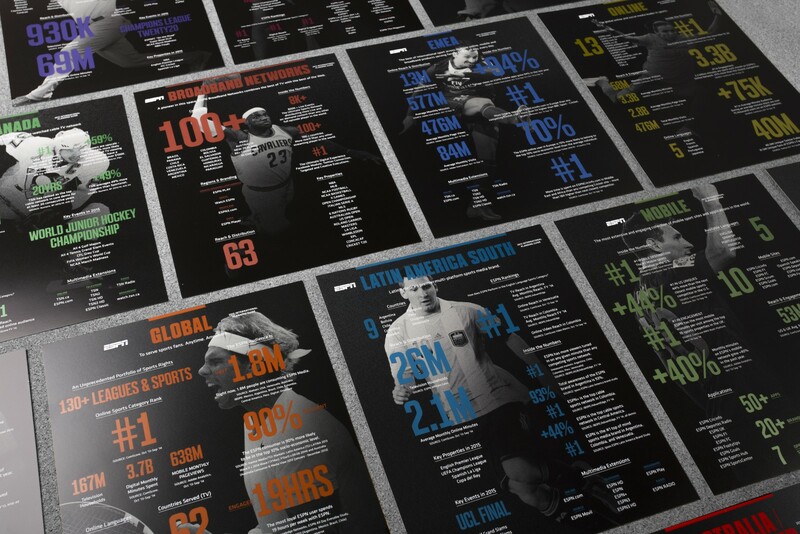 The system includes one-sheets for each region and platform to display the network’s statistics and international programming information. 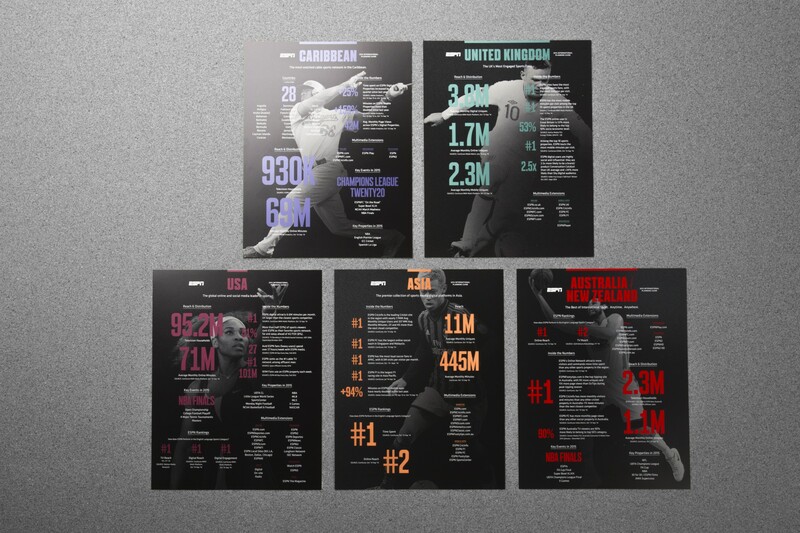 We're tasked with creating a refreshed graphic language each year. 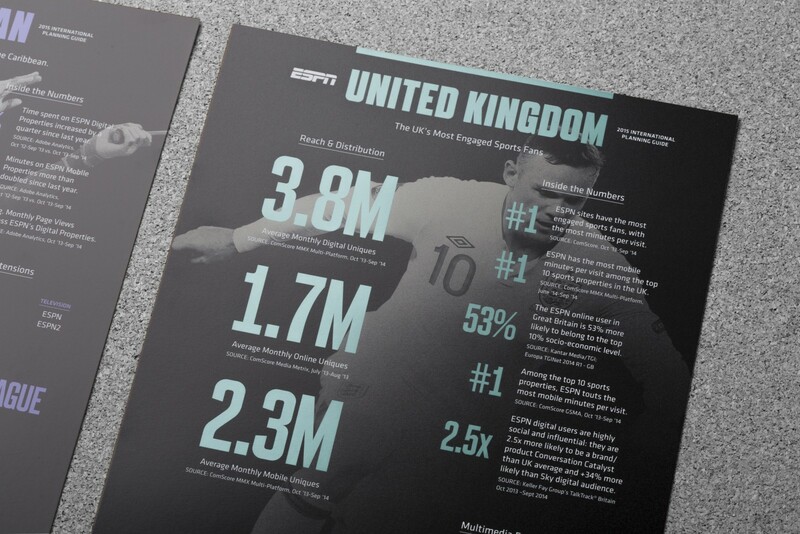 Related project: ESPN Capitales del Fútbol.